Ever wondered how Pacman would be like with physics? No? Well, it's revolutionary. 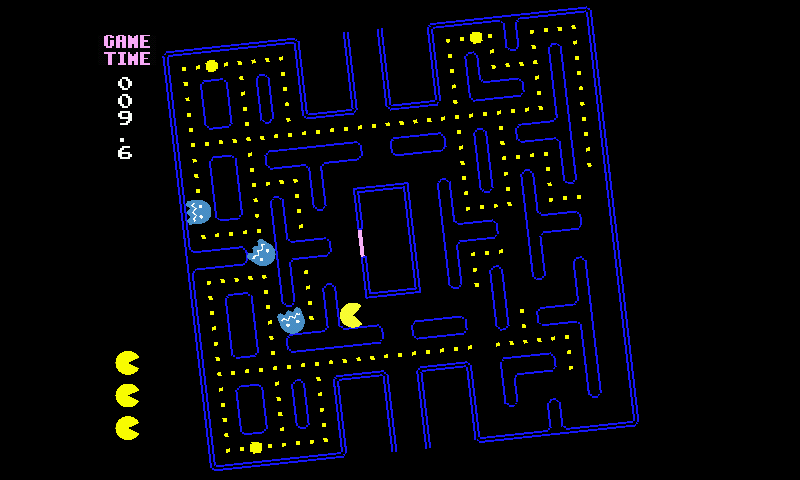 This mashup of "Not" and "Pacman" puts The Pac and the Ghosts in a Pacworld cage, at mercy of gravity and level's shape, controlled solely by you. 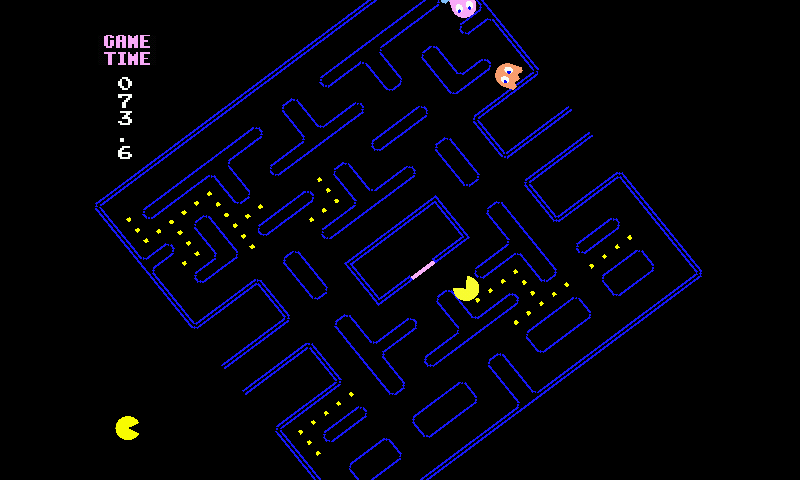 It's a Pacman where the pacman and the ghost are controlled sollely by the Gravity, you interaction is to rotate the maze. It's a game developed in Love. 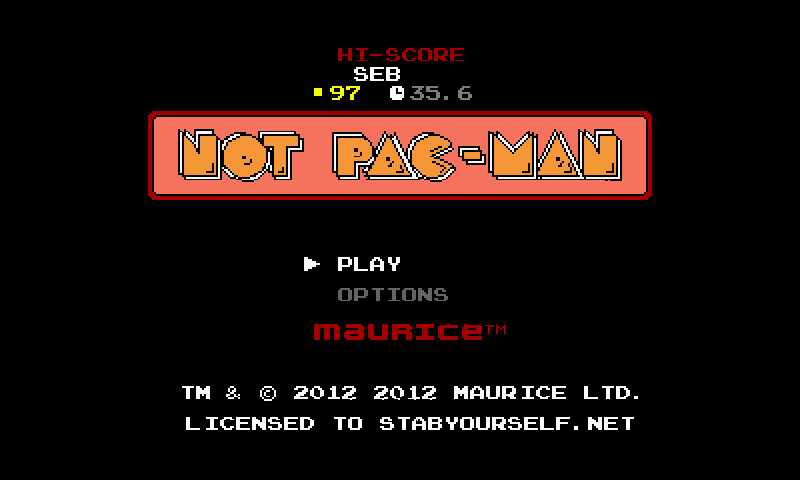 So the port is the port of the Love engine (v0.7.2 here), the Notpacman is simply the original love file. It use the awesome libGL from lunixbochs (I had to disable the glBlendEquation), and I added some quicke and dirty fullscreen+downscale of screen res. * C4A Support! Eat everything as fast as you can.